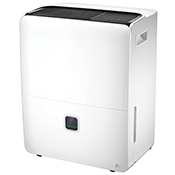 The 95 Pint Energy Star Dehumidifier with Pump covers spaces up to 6,000 sq. 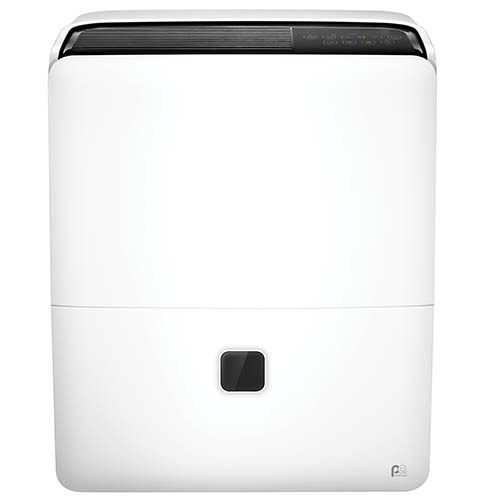 ft. and comes equipped with a built-in ion air purifier that helps remove allergens in the air. 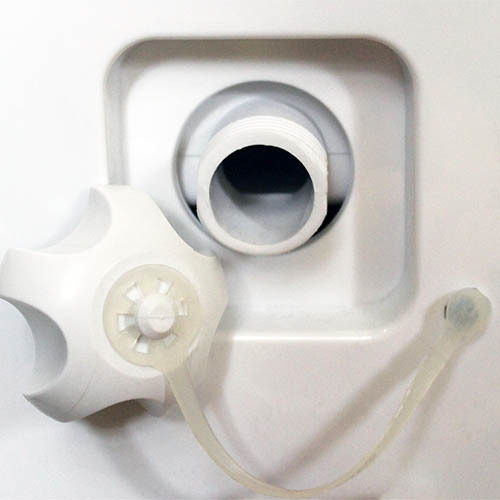 It features an easy access bucket to remove water, a direct to drain option or when the bucket is full, the pump will initiate for independent humidity removal. The heavy duty, removeable caster wheels make it easy to move the unit from room to room. Covers up to 6,000 sq. ft. and operates down to 41°F. Easy access bucket with handle, direct-to-drain hose access or pump for drainage. 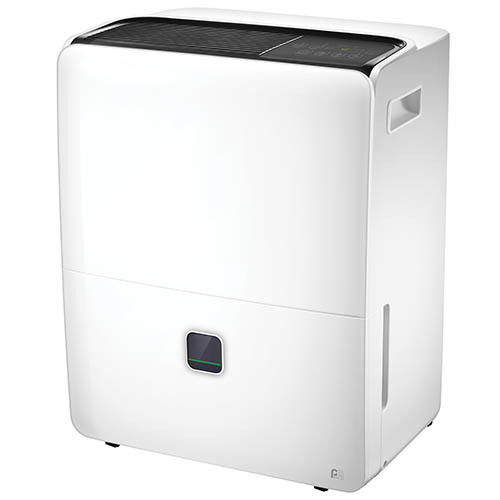 Keep the air around you dry, comfortable and less welcoming to allergens with this Energy StarⓇ-rated dehumidifier from Perfect AireⓇ. 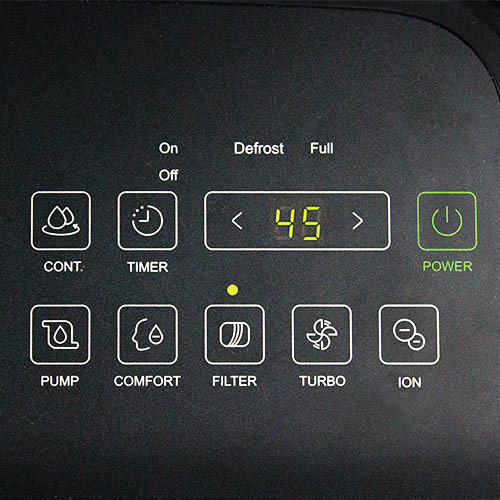 As efficient as it is effective, this powerhouse dehumidifier pulls excess moisture from the air in spaces up to 6,000 square feet. Dry or damp, you’re in control of your ideal humidity levels with smart features like the adjustable humidistat and comfort option, which self-regulates the humidity based on room temperature. A water-level window lets you monitor the bucket as it fills. For continuous operation and no-emptying duty, opt for direct-to-drain installation or when the bucket is full, the pump will initiate for humidity removal. To clean the grille or case use a damp cloth with water and a mild detergent. Do not use bleach or abrasives. Do not splash water directly onto the main unit. Doing so may cause electrical shock, cause the insulation to deteriorate, or cause the unit to rust. The air intake and outlet grilles get soiled easily; use a vacuum attachment or brush to clean. Clean the bucket every few weeks to prevent growth of mold, mildew and bacteria. 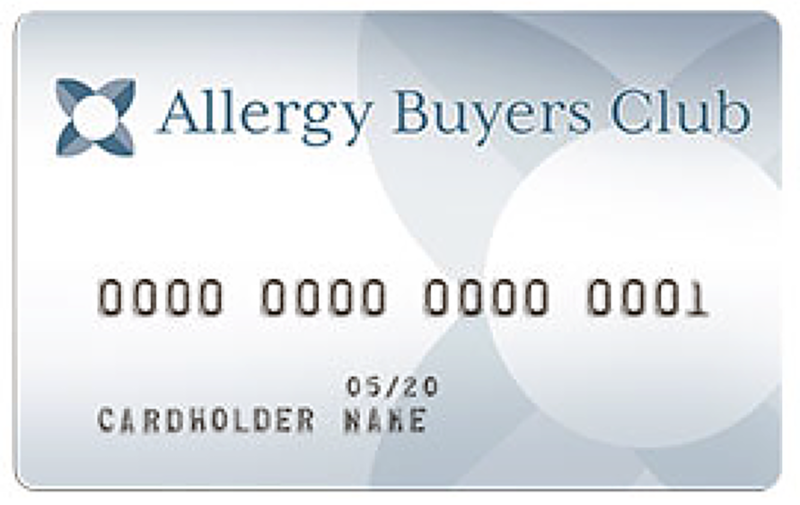 Wash the filters with clean water, then dry thoroughly before reinserting the filters. Coverage Area 6,000 sq. ft.